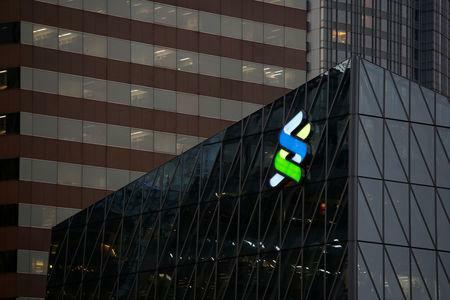 ABUJA (Reuters) - Officers from Nigeria's financial crime agency visited the Lagos office of Standard Chartered's <STAN.L> Nigerian operations on Friday, but bank said in a statement that there was no reason for the officers to be there and they left shortly afterwards. Last month Nigeria's central bank ordered Standard Chartered and three other banks to bring back to the country $8.134 billion that it alleged South African telecoms firm MTN <MTNJ.J> had illegally sent abroad in breach of foreign exchange regulations. "We are clear there was no basis for this entry, and the law enforcement officials left the building shortly afterwards," Standard Chartered said. A spokesman for the EFCC, said the agency did not raid the lender but attributed it to the work of some errant officers who could have acted without authorisation, Wilson Uwujaren said in a statement. Uwujaren said the agency would investigate the illegal raid. "Officials of such institutions who are wanted by the commission, are usually invited for questioning after discreet investigation. Over the years, banks have been cooperative in releasing their officers to the commission for questioning," the EFCC said.